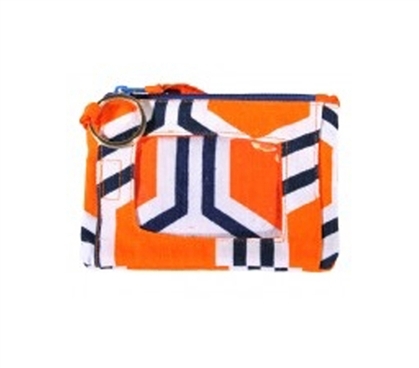 It'll never be a bad idea to keep your ID in a cheap student ID case like this Roma Orange Student ID Case. We don't care how good your hair looks in your ID picture—the cool colors and modern fashion of this ID case for college will only make your ID photo look better! Even if that photo isn't your best, it's all the more reason to get a cool, pretty student ID holder like this case. No matter where you're going or what you're wearing, you'll still be fashionable with this ID holder as part of your college supplies. This cute and cheap case for student IDs also makes a great wallet. 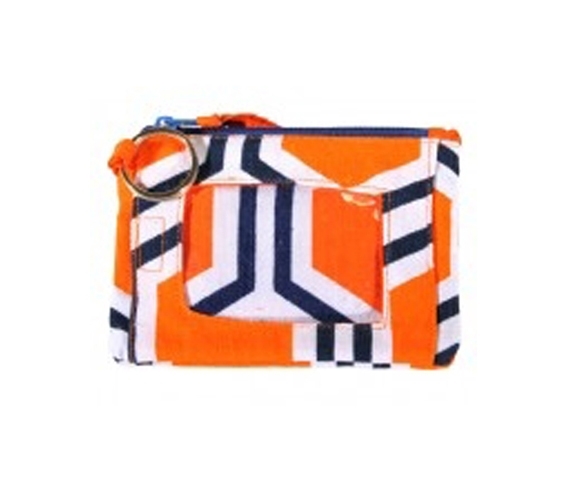 Its zippered pocket can hold cash, credit cards, or all matter of other stuff for college that you'd keep in your wallet. If you're going to carry around this case, why carry a wallet as well? Plus, with a wallet, you'll have to take out your ID every time you need to show it to gain access to your school's cafeteria, gym, and more places on campus. This college ID case has a clear plastic window, so you can save the extra step of taking out your ID. It's the little conveniences like that, that, when added up, make college life all the better.